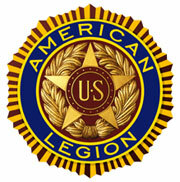 I wish to become a member of the American Legion Post 781. I certify by submitting this application that I have served at least one day of active military service during the dates marked below and was honorably discharged or am still seving honorably. Please fill in the form below and click the SUBMIT button. You will be contacted by an officer of the American Legion Mountain Post 781 in Mountaintop, PA. You will be required to provide a copy of your DD-214(s). You can order copies (free) by clicking on the "Veteran Records Online" button to the left.